The pub you can see in this picture was called The Northern Star. I met my husband in this pub. We were introduced by a mutual friend named Derek Spurrier. We were married in the Baptist Chapel just a bit further up this road. We have been married 45 years this year. I used to live in Alexandra Road just off the High road, in the house my dad was born. They lived there until the area was redeveloped. They then moved to Palmers Road. 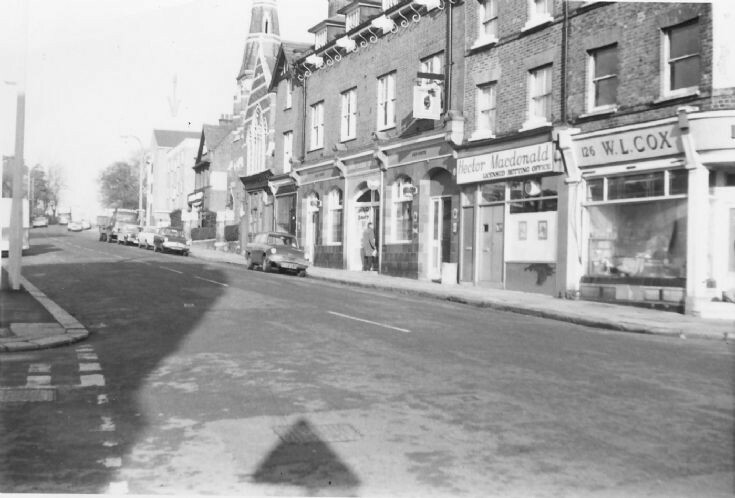 I am researching my family tree, and particularly wanted to find out more about number 45 High Road New Southgate. We think my grandfather's family lived there in 1906, and my grandfather's 2 year old brother was knocked down and killed by a horse and cart in the street outside. I wonder if anyone can throw any light on the social history of this road at that time? Just discovered this wonderful site I grew up in New Southgate in the 50’s and went to Garfield School. Would love to hear of any future reunions taking place. I went to Garfield School in the 50’s and would love to hear of any reunions taking place.